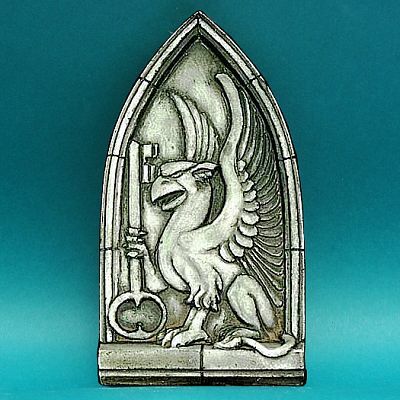 - This noble gryphon stands guard in an arched doorway, and holds in his talons the key of good fortune. 5" tall. Do you have any other questions about our Gryphon Relief? detail on both. Love them so much, it was really hard for me to wrap them up and give them away. They were a Christmas gift. Which my friend loved the too! !